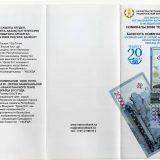 A full set of Kazakhstan nackel and bimetallic coins, issued before the end of 2016 (111 different coins), in a presentable album made of high-quality respectable leather-like material. 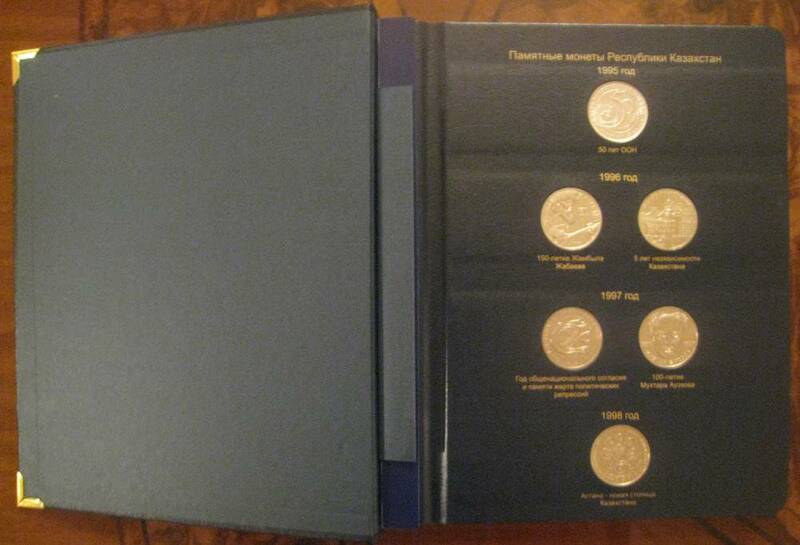 The album contains all the jubilee coins of Kazakhstan, issued in 20 years! All coins are in UNC condition. 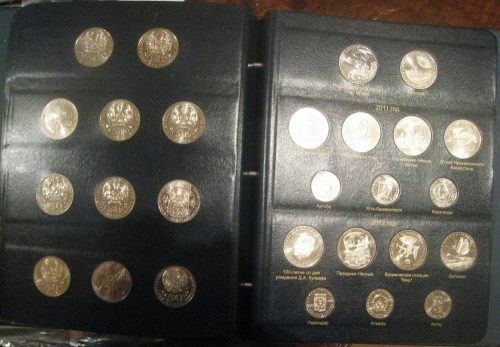 It’s realyy hard to find some early coins in such great condition now! The album is full! 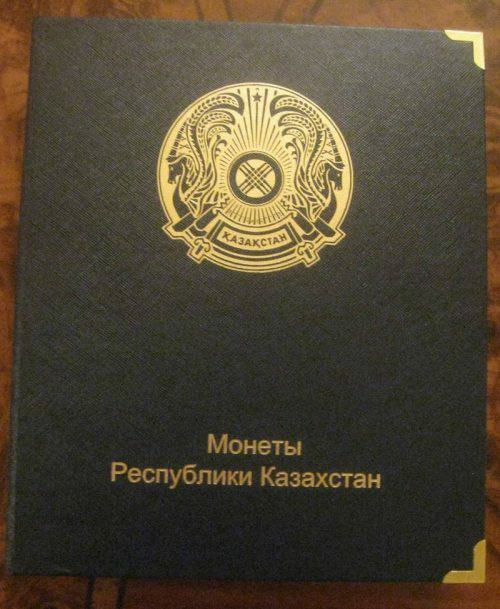 It is possible to continue filling the album by inserting shits. The album includes coins from nickel in denominations of 20 and 50 tenge of standard size. 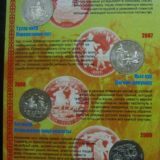 In addition, the set includes 4 bimetallic coins of 2003 with value of 100 tenge, dedicated to the 10th anniversary of tenge, 100 tenge, dedicated to the 60th anniversary of the UNO, and a set of coins “Cities of Kazakhstan” . 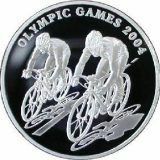 Images of all coins of the album can be seen in the “Nickel Coins” section on this website. Coin dedicated to the 60th anniversary of the Victory in the Great Patriotic War of 1941-1945. Coin dedicated to the 10th anniversary of the adoption of the Constitution of the Republic of Kazakhstan. Coin dedicated to the 100th anniversary of A. Margulan.